The king of Wonderland suddenly died and the people must elect a new leader. Prince Argon is the residents of Wonderland's choice but the evil sorcerer Rasmos has other plans. The despicable sorcerer created a whirlwind, scattered all the residents of Wonderland and then conjured an army of skeletons in order to sway the ballet in his favor! The undead are able to vote in Wonderland elections so he will surely win! Gather up all of the missing residents for Prince Argon and help him win the election for the throne! Help Prince Argo claim the throne! 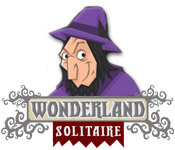 Tell someone about Wonderland Solitaire Game! z8XlZL I really enjoy the article.Thanks Again. Much obliged.